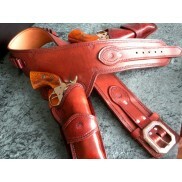 This is a category for other Pocket Watches that are not included in the Antique American Pocket Watch Category. 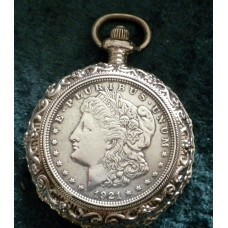 1921 Dollar Pocket Watch1921 Copy Morgan Dollar Coin set in a Full Hunter Pocket Watch Case with a S..
Bald Eagle Pocket Watch. 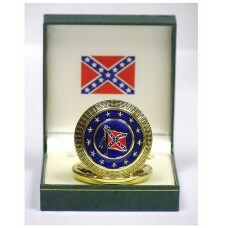 Bald Eagle Pocket Watch Quartz MovementWildlife CollectionBald Eagle desig..
CSA Pocket Watch w/ Generals Lee & Jackson. 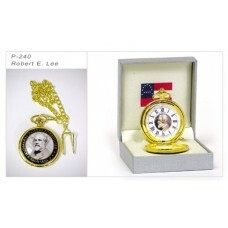 CSA Pocket Watch w/ Generals Lee & Jackson. 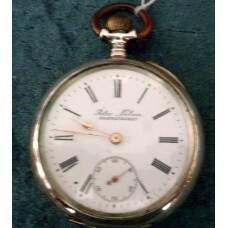 CSA Pocket Watch- Front of watch is blue/red ename..
Peter Nielsen Brønderslev Pocket Watch With Silver CasePeter Nielsen Brønderslev Pocket Watch W..
Robert E Lee Pocket WatchRobert E. Lee Pocket Watch. Pocket watches make great collectibles and gi..
Vintage 1930's Helvetia Pocket Watch in Full Hunter Silver CaseVintage 1930's Helvetia Pocket Watch ..
Vintage Style Train Pocket Watch. 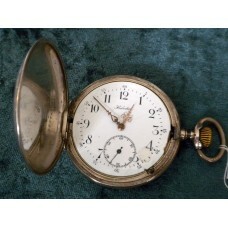 Vintage Style Train Pocket Watch Quartz MovementVintage look and ..
Wild Bill Hickok Pocket Watch. Wild Bill Hickok Pocket Watch.Collectible Pocket Watch- Front of watch is enameled, and features p..